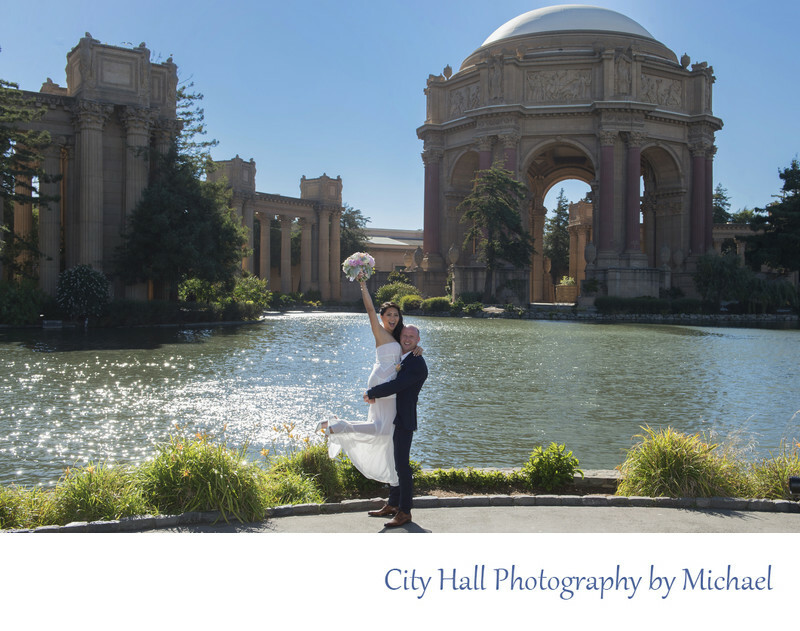 We had a wonderful time with Cindy and Clarion covering their San Francisco City Hall wedding. They chose our Golden Gate Package which includes 2.5 hours of coverage and 1 additional photography location. They chose the Palace of Fine Arts for their photo tour. Cindy and Clarion received the following features with their Golden Gate Package. 1 additional location at the Palace of Fine Arts with 1 hour of coverage. Free Transportation to the additional location and then back to City Hall. Great Photos and a fun time!